while being part of a professional team. We are looking for a A Grade Electrician to join our team! We are looking for a 2nd, 3rd & 4th Year Apprentices to join our team! 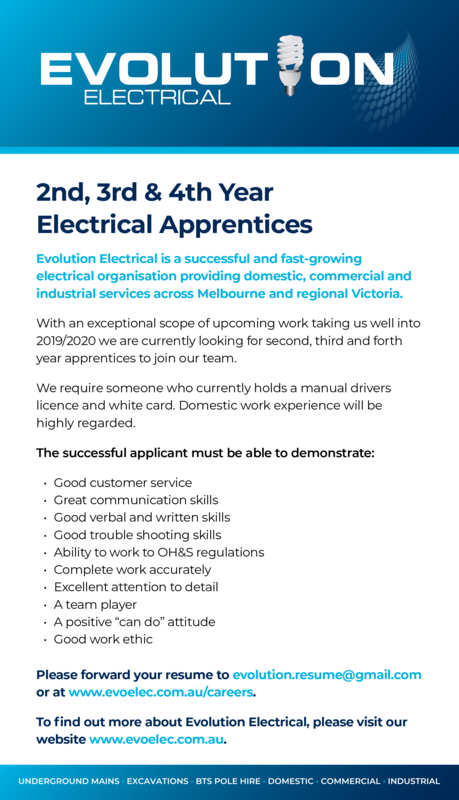 With various roles, a career at Evolution Electrical can take you far. Here you’ll have incredible opportunities to learn, grow and achieve. Please fill out the form below, attach your resume and we’ll get back to you!